Extra paddles can be installed on the mod, and these extra buttons can be remapped to perform the function of any stock button. For example, the re-mappable button can be set up to control the right stick, so that any time the user presses the re-mappable button, the mod presses the stick for them. 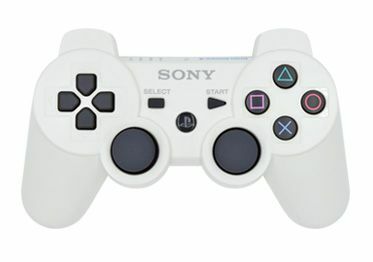 Remappable paddles are normally used so that the player doesn’t have to move their thumbs away from the thumbsticks during gameplay. Remappable paddles are compatible with any game on the market. Remappable paddles can be used while exclusive modes are activated. How do Programmable Mimic Paddles work? If you have programmable re-mappable buttons, you can change the assignment of your re-mappable paddles through the programming menu. Hold mod switch + tap PS Home button to enter the mod programming menu. All four LED’s will turn white, and then the mod waits for you to enter a selection. Press any re-mappable paddle to program that button, and the four LED’s will blink once slowly to let you know it’s ready for your selection. Then press any stock button. The four LED’s will blink twice to confirm that it accepted your selection. To configure another re-mappable paddle, press the other re-mappable paddle to configure (mod will blink slowly once) and then press the stock button you want to assign to that remappable button (mod will blink twice). When you’re all done configuring your re-mappable paddles and are ready to save your changes, hit the mod switch. All four LED’s will blink quickly three times to confirm that your new settings were saved, Mod will then exit the programming menu.